The Canadian Trans Youth Health Survey was a national online survey conducted by researchers from several Canadian universities and community organizations. The survey included somewhat different questions for younger (14-18 years) and older (19-25 years) trans youth about a wide range of life experiences and behaviours that influence young people’s health. This report is focused specifically on trans youth who live in British Columbia, who made up 23% of the total respondents. This regional report is an overview of survey results. Saewyc E, Frohard-Dourlent H, Ferguson M, & Veale J. (2018). 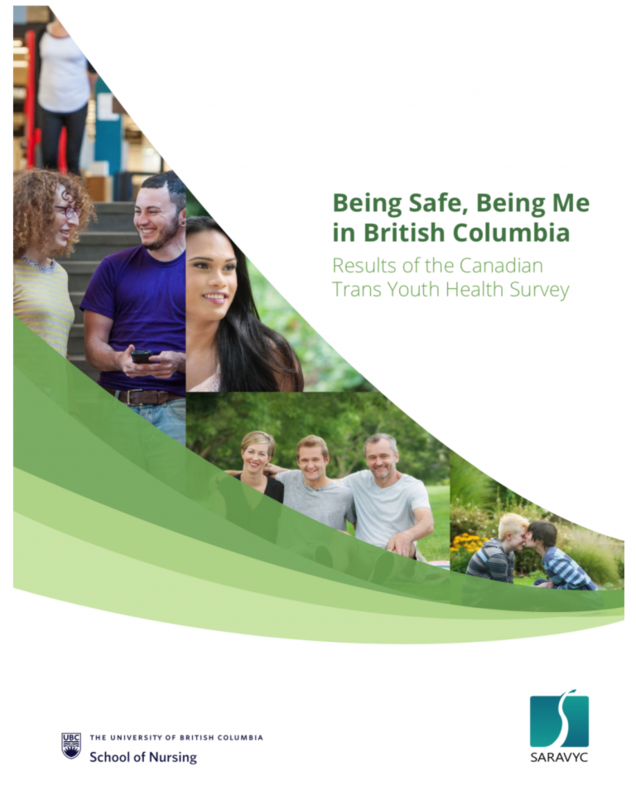 Being Safe, Being Me in British Columbia: Results of the Canadian Trans Youth Health Survey. Vancouver, B.C. : Stigma and Resilience Among Vulnerable Youth Centre, School of Nursing, University of British Columbia.